The Speedway Star magazine is a reader’s guide to the world of hi-speed racing sports. You get to know about the A-to-Z of the racing world from this magazine. It is an eclectic magazine covering the domain of motorbike racing and the various and drastically different racing circuits. It throws much light on the global motorbike racing scene. The magazine has a very interesting façade and has glossy pages and contains colorful snapshots. It is issued from U.K and comes once every week. The Speedway Stars Started on a modest note but over the years, it had gained might and stature and gone on to be one of U.K’s most trusted and most widely read racing magazine. 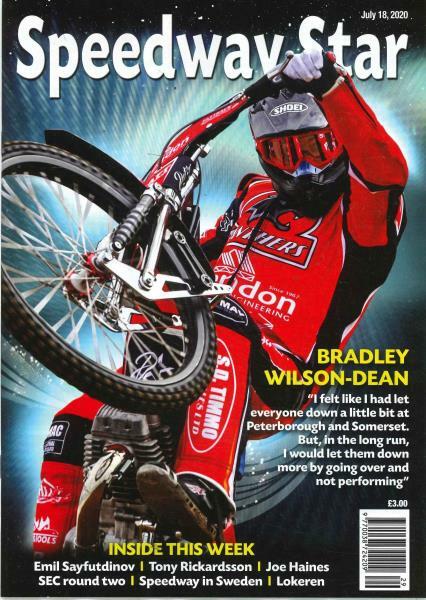 The Speedway Stars is the most trusted and sought after magazine, which is worth trusting even blind-folded. The magazine has been able to strike a chord with the readers, developing and enhancing extensively its reader-base, which now presently encircles the entire globe. The Speedway Star is written in a very crisp and lucid, as well as easily intelligible language making it extremely reader friendly and at the same time they are enriched by the writings of some of the celebrated and renowned experts in the field of racing. Here’s calling all budding and aspiring circuit drivers and other racing sport enthusiasts to get hold of a copy of the Speedway Star today!